We understand scientific research. We can take your problem all the way from research question to evidence-based answer. What’s more, we make results understandable to diverse audiences. ACER COnsulting will solve your unique challenges, creating results that make a difference. Our core team of experts have extensive experience in the agri-food and public health sectors, and formal doctoral training from the Department of Population Medicine at the University of Guelph, with a focus on applied epidemiological research, veterinary medicine, knowledge mobilization, agricultural extension, and program evaluation. ACER Consulting has worked with PHAC to conduct literature reviews, provide epidemiological analysis on drinking water consumption amongst Canadians, and explore scientific methods for detecting harmful pathogens in drinking water. ACER Consulting paired with Zoetis to develop an interactive Calf Health Management training course to be delivered to dairy veterinarians. ACER has worked with the Dairy Farmers of Canada on a number of initiatives over the years, such as development of infographics, videos and tools to educate dairy farmers on priority animal health and welfare topics, to consult on best practices for research communication, and to evaluate the outcomes of the Animal-Based Measures portion of the industry’s proAction initiative. ACER Consulting’s team is made up of both alumni and active faculty members. They have been involved in evaluation of a number of research funding programs, and are actively involved in numerous research projects within the Department of Population Medicine. ACER Consulting worked with the Ontario Veterinary Medical Association to develop the Farmed Animal Antimicrobial Stewardship (FAAST) initiative (www.amstewardship.ca), an educational website featuring case studies, podcasts and FAASTsheets for veterinarians and producers regarding the use of antimicrobials. ACER Consulting collaborated with CanWest DHI to evaluate the mobile phone application allowing Canadian farmers to review and benchmark their herd’s milk quality. 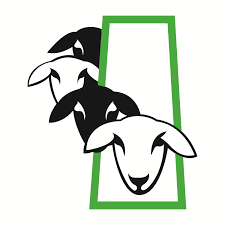 The ACER Consulting team worked with the Canadian Food Inspection Agency & TDV Global to inform and evaluate their field simulation of the Livestock Traceability Program. ACER Consulting was asked by the Canadian Water Network to evaluate and summarize over 15 years worth of Network of Centres of Excellence-funded projects. ACER worked with Equine Guelph to understand and influence biosecurity practices in the Ontario Racing Industry. Our focus included the identification of critical control points, existing perceptions, and barriers to compliance with biosecurity practices. ACER Consulting explored opportunities for precision agriculture in all Ontario agri-food sectors, including current and future uses of big data. ACER has collaborated with OMAFRA many times, often working to develop educational programs and resources for veterinarians and producers on several animal health and welfare topics. 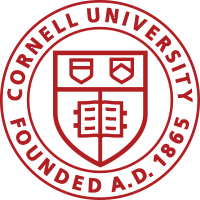 The ACER Consulting team has worked with the College to explore veterinarian attitudes towards antimicrobial stewardship, and conducted evaluations and analyses to support changes to internal policies and programs, such as the Peer Review of Medical Records. ACER Consulting has been involved in several academic research projects, collaborating on the National Dairy Study, and facilitating workshops with both faculty and students. ACER has worked with DFO numerous times to prepare veterinarians for the implementation of proAction, and explore dairy farmer attitudes and opinions on various animal health and welfare topics. ACER continues to work with DFO to train veterinarians and dairy producers on priority issues within the industry. Over the years, ACER Consulting has assisted LRIC with technical evaluation of research proposals. ACER has also been involved in the development of animal health resources and evaluated the environmental impacts of agriculture. ACER Consulting was engaged by Environment and Climate Change Canada to evaluate the effectiveness of programs aimed at promoting the adoption of Best Management Practices to reduce harmful run-off in the Great Lakes. Farm & Food Care engaged ACER Consulting to facilitate a workshop featuring industry partners and producers to discuss nutrient efficiency and water-use challenges in agriculture. ACER Consulting has developed online courses for the Department of Population Medicine and carried out podcasts, workshops, and training for both faculty and students. ACER Consulting, together with the Ontario Association of Veterinary Technicians, has developed a province-wide survey to evaluate the scope of practice and value Registered Veterinary Technicians bring to Ontario veterinary clinics. ACER Consulting has collaborated with Tivoli Films on several occasions to produce scientific communication tools. They have produced live-action videos on a variety of human and animal health projects. With Hallman Animation, ACER Consulting has developed many animated whiteboard videos to be used as educational tools for students, producers and veterinarians on several human and animal health topics. ACER Consulting, together with Wilton Consulting Group, conducted an evaluation of the OMAFRA-University of Guelph Research Program focusing on its importance as one of Canada’s only agri-food funding sources. ACER Consulting worked with the Arrell Food Institute at the University of Guelph to lead a series of workshops and develop spotlight discussion papers with experts in agriculture and agri-food sector on topics such as food safety, antimicrobial resistance, emerging diseases, and food security. ACER Consulting worked with SouthWest to conduct data analysis and animal health research consulting on numerous topics within the Ontario pork industry. Members of the ACER Consulting team had a role in surveying producers and analyzing data as part of the Canada-wide dairy benchmarking initiative. ACER also developed the website that showcases study results using interactive infographics and videos (www.nationaldairystudy.ca). ACER Consulting has collaborated with Headlands on multiple projects funded by Environment and Climate Change Canada to encourage producer adoption of best management practices to promote the health of the Great Lakes. ACER Consulting worked with the Canadian Food Inspection Agency & TDV Global to evaluate their field simulation of the Livestock Traceability Program and continue to work together on topics such as antimicrobial resistance and stewardship. ACER Consulting provided group management and facilitation training to EastGen’s Dairy Solutions team to aid them in their benchmarking and outcomes program. ACER was asked to deliver a workshop at the DeLaval Robotics 2018 World Series: VMS Pro North America to teach valuable communication skills to producers who train and manage farm staff. Members of the ACER team have published articles communicating science and research in the Canadian Jersey Breeder magazine. The members of the ACER team have published several articles communicating science and animal care in Progressive Dairyman magazine in both Canada and the U.S. The members of the ACER team have published several articles on current events and animal care in Progressive Dairyman magazine in both Canada and the U.S. 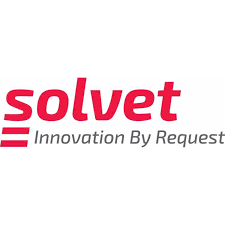 The ACER team has consulted extensively with Solvet, providing statistical analysis and scientific communication services for their pain management products and calcium supplements. ACER has worked with VFO to develop education resources for both producers and veterinarians. They have also benchmarked the rate of failure of passive transfer of veal calves in Ontario. Members of the ACER have delivered workshops, lectures and training sessions in collaboration with UMN. 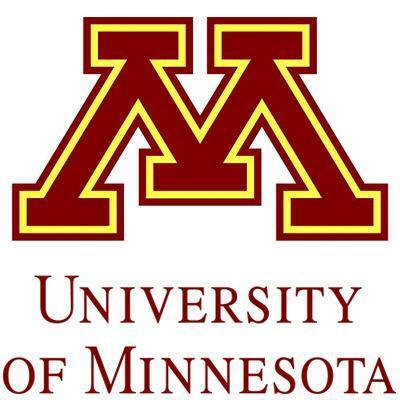 Members of the ACER team have also served as graduate student advisors in conjunction with UMN’s faculty. 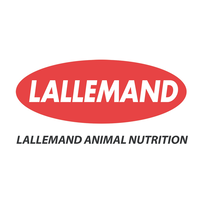 ACER has supported Lallemand in clinical trials and research analysis of various milk replacer supplements in both Canada and the United States. ACER is collaborating with OAHN bovine network to benchmark the use of antimicrobials by dairy farms in Ontario, to encourage antimicrobial stewardship. ACER has worked with hoof trimmers to offer workshops and information sessions to help them encourage their dairy producer clients to adopt best management practices to reduce lameness on their farms. ACER, with the help of Tivoli Films, developed three whiteboard style animated videos for producers on the importance of good biosecurity and disease prevention on sheep farms. The ACER team worked with Tivoli Films and researchers at Bristol to develop an animated whiteboard video for their laying hen sector innovation network funded by the EU. ACER has also offered conference presentations on Motivating On-Farm Change. 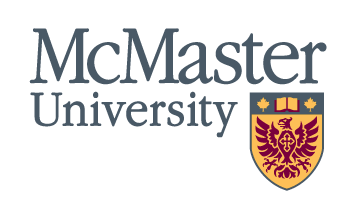 The ACER team worked with epidemiologists and physicians at McMaster University to develop a whiteboard video to showcase the results of their Pathways in Autism Spectrum Disorder (ASD) research project, and support families with children diagnosed with ASD. ACER worked with the Canadian Bovine Mastitis and Milk Quality Research Network to offer conference presentations, training workshops, and seminars for a variety of producer, veterinarian, researcher and graduate student audiences. We have a passion for agriculture and agri-food and believe in studying health and disease through a one health lens. We are a collaborative group, keen to work with like-minded partners across the globe. Want to explore a problem, project, or opportunity?